This review is about item#34885663. There was a question about durability thinner than the product used so far. It was constructed in triple. It is exactly better for parcels, divisions, and identifications because it is more dirtier and more noticeable than general items. This review is about item#34885672. Still, I do not know the feeling of use, I really want strong adhesion of masking tape, but it is strong against water Things strong on pulling. The tape which I used before was elongated too much and it was easy to peel off shrinking as time passed. 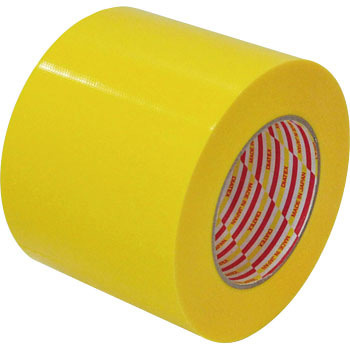 This product has less elongation of the tape, it was easily torn and easy to use by hand when cutting. This review is about item#39542264. It is easy to cut by hand, so it is easy to repair only the damaged part. There are few leftover adhesive. The straight line of about 15 m with little elongation also bent easily and it stuck easily. Although it was strength, I was using a different expensive product before, but it does not matter because it was damaged if I pulled it with heavy objects. Because we can relocate easily, we switched from place to place and became aggressive. Easy to use and sticky. Other people also say in the review, but the state of the floor and the place where the carriage goes can be peeled off immediately. Because it is easy to paste, and the price is cheap, it has been stocked so that it will be repacked once peeled off. We are using it to display with white lines on the floor in the factory. Although there is no problem with width and adhesive strength, it is easy to break when a dolly passes over the white line. But it was popular from workers as it was easy to stick. I have not used it yet, but I think it's good. I think it was a little thin. This review is about item#39542282. I did not know the quality of the product from the image, but the point was like a curing tape. Even at the floor, it will be cut off if you do a dragging work such as a hand jack or a pallet. I purchased it as a substitute for a road surface tape. There is no problem in workability but it can not be confirmed how long the durability is. This review is about item#39542255. Approximately two weeks have passed since it was constructed, but I am satisfied without noticeable peeling. Tearing easily with hands, workability was good. The uneven place got peeled off. It looks good on flat places. Used to make the passage in the factory easier to understand. The price is reasonable, I purchase it many times. It is handy and easy to use. Since there is no separator, construction is easy.